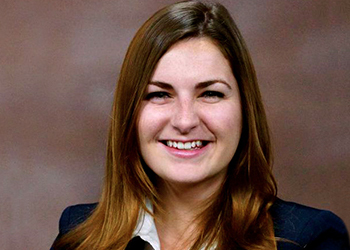 Katie Clarkin currently serves as a Research Associate at UCLA’s California Policy Lab. She recently graduated with her Master of Public Administration from the Maxwell School of Citizenship and Public Affairs at Syracuse University. Prior to attending Maxwell, Katie worked as a Presidential appointee at the U.S. Department of Energy, where she most recently served as the Special Assistant to the Deputy Secretary of Energy. Katie originally hails from Cleveland, Ohio and graduated from Kent State University with degrees in International Relations and French.